So I’m kinda late on this one since it happened back in August, but it’s still interesting and gives you ideas of what tea to try next. The North American Tea Championship named 17 first-place winners during its Hot Tea evaluation for spring 2013 in categories including Dragonwell, Pan-Fired Green Tea, Matcha and Flavored Fruit Blends, among others. Some of the winning companies will be featured at the upcoming World Tea East , Oct. 20-22, 2013, at the Georgia World Congress Center in Atlanta, Ga. So if you find yourself in the Atlanta area, you might want to check it out. According to the organizers, the championship is the only independent competition – evaluated by professional cuppers – to distinguish the highest quality and best tasting teas that are commercially available in the North American marketplace. A complete list of first-, second- and third-place winners can be found on the North American Tea Championship site. The next North American Tea Championship will be held in November 2013 for an evaluation of packaged single-service tea. Can’t wait to see who wins! So would you interrupt a good snog for a cuppa? Today India got one step closer to having tea e-auctions nationwide. Bidding adieu to the 147-year-old manual tea auctions in South India, electronic auctioning of tea was formally inaugurated here today by Union minister of state for Commerce and Power, Jairam Ramesh, who said by January 31 next year the new system would be fully in place. 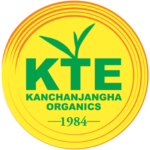 The first online auctions were launched by the Calcutta Tea Traders Association in November 2008. Ramesh also said that the web-based auctions will be in place for the whole country by September 2009. This is a big change for how the tea industry in India operates. 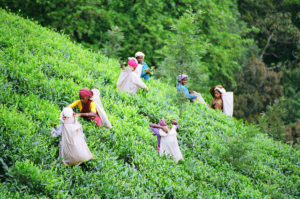 It might help India take back its title as largest tea producer in the world. With the online system, registered buyers and sellers can connect no matter where they’re located. And there’s hope that it will attract new tea sellers that currently don’t sell through the auction systems. So that might mean new tea for us. For our American readers who are familar with Teavana, you’ll be happy to know that they debuted their 2009 collection of new teas. From a rare Black Dragon Pearl tea to a unique Samurai Chai Maté, this collection of teas gives you more choices of wonderful aromas. 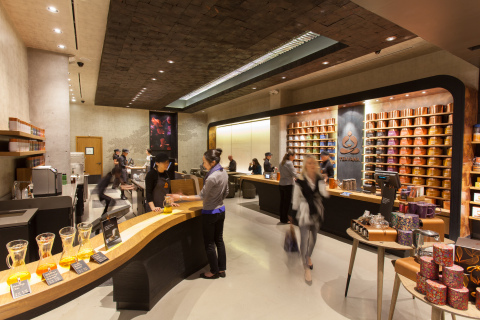 You can see all the new Teavana teas here. For a limited time, they are also offering coupons for the new teas that can be obtained at the stores or online. So if you buy 1 lb. or more of any combination of the new teas listed for a particular week you can save 20% off your entire tea purchase. 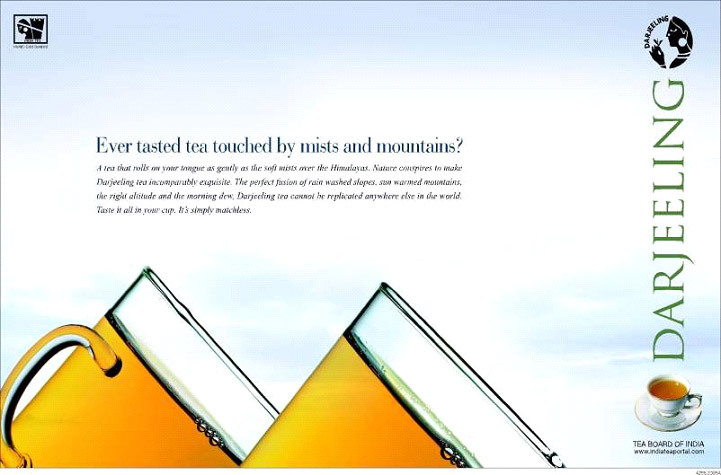 Do you expect Darjeeling tea to come from India? India may become only the second non-European country to gain European Union brand-name protection for one of its most famous exports —Darjeeling tea. The EU protects more than 800 regional foods to help protect producers in those regions, and some would argue expectations of consumers. So only companies producing the products in the relevant region can use the protected names. Foods and drink names like champagne, several thousand wines, Parma, Roquefort cheese and Madeira wine are protected. And India wants the same protection for its Darjeeling. This isn’t anything new. The Indian Tea Board has been trying to protect it since 1983 when it created the Darjeeling tea logo. And they’ve been fighting world-wide to protect their brand. What do you think? Should only teas from the Darjeeling region use its name? 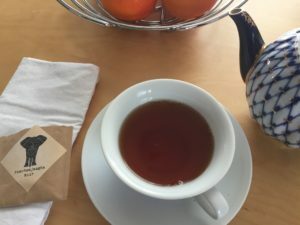 Two sisters, Katya Popoff and Olga Lenova, are bringing fruit/black tea blends inspired by the ones they drank in Siberia to North America with Fully Loaded Tea. The duo moved to Canada with their parents as kids but missed the tea of their youth and launched the company in 2007. And just a year later Fully Loaded Tea was served at the Kodak Theatre during the StandUp2Cancer event on September 5, 2008. Stars at the event, including the boys from Mad Men (below), tasted their Cucumber Mojo White Tea and the Citrus Spiked Black Tea. Vincent Kartheiser and Rich Sommer from the Emmy Award winning Mad Men.